Stock Markets: When Will the Bull Return? The stock market is crashing — slowly, and in plain view of the people who count on it most. The 53% plunge in the Dow Jones industrials since October 2007 has wrecked the college- and retirement-savings plans of millions of investors. It has permanently lowered the long-term investment projections of private endowments and pension funds. It has sent corporate compensation experts scrambling to figure out how to reward top employees. All told, more than $10 trillion of stock market wealth has vanished, and with it the confidence that springs from financial security. While 17 months may feel like an eternity, it could turn out merely to be a prequel. The questions on the minds of investors, money managers, and corporate executives are threefold: How much longer will the bear market last? How low will the averages go? And when might investors get their money back? As Warren E. Buffett has said: “Beware of geeks bearing formulas.” It’s especially difficult to predict the direction of the markets these days because the most popular gauges, from price-earnings ratios to measures of investor “capitulation,” have stopped working. The peculiar nature of this bear market limits the kit of useful tools to just a handful of bond market and business confidence indicators. Those signals, along with interviews with financial historians, market strategists, and economists, point mostly to painful scenarios. Stocks don’t seem likely to fall much more from here — but market turmoil could continue for months or even years. Worse, by the time the market revisits its highs, so many years are likely to have passed that many older people will have gotten out of stocks, missing out on the rebound. The flip side is that new money put into the stock market now will likely do comparatively well over the long term. That’s welcome news for twentysomethings and executive compensation consultants, but perhaps not for soon-to-be retirees. 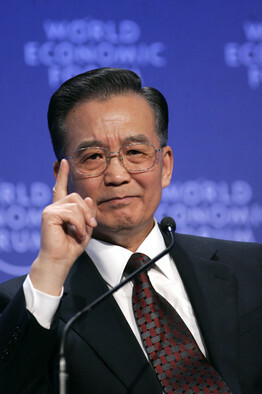 Chinese Premier Wen Jiabao squarely blamed the U.S.-led financial system for the world’s deepening economic slump, in the most public indication yet of discord between the U.S. government and its largest creditor. Leaders in China, the world’s third-largest economy, have been surprised and upset over how much the problems of the U.S. financial sector have hurt China’s holdings. In response, Beijing is re-examining its U.S. investments, say people familiar with the government’s thinking. Chinese leaders have felt burned by a series of bad experiences with U.S. investments they had believed were safe, say people familiar with their thinking, including holdings in Morgan Stanley, the collapsed Reserve Primary Fund and mortgage giants Fannie Mae and Freddie Mac. As a result, the people say, government leaders decided not to make new investments in a number of U.S. companies that sought China’s capital. China’s pullback from Fannie and Freddie debt helped push up rates on U.S. mortgages last year just as Washington was seeking to revive the U.S. housing market. To be sure, China’s economy now is so closely intertwined with the U.S.’s that major, abrupt changes are unlikely. The U.S.-China economic relationship has become arguably the world’s most important. China has been recycling its vast export earnings by financing the U.S. deficit through buying Treasurys, helping to keep U.S. interest rates low and give American consumers more spending power to buy Chinese exports.